S kopačkou Nike PhantomVNM Elite Game Over FG se ostré, precizní a vítězné střely stanou skutečností. Lamely na nártu míč rozrotují, takže vždycky budeš moct zamířit tam, kam chceš. Vlákna Flywire a pružná podrážka se starají o potřebnou stabilitu a trakci při prudkých změnách směru. Konstrukce Flyknit s dynamickými vlákny Flywire se přizpůsobují noze. Čepelovité kolíky v oblasti klenby se starají o precizní a ostré kopy. Podrážka HyperReactive má dobrou trakci ve všech směrech. Špičku boty a nárt pokrývá tvarovaná mikrotextura, která pomáhá s lepším ovládáním míče. Pata obložená pěnou se stará stabilitu nohy. Svrchní texturovaná vrstva NikeGrip z textilie zpevňuje nohu. The Phantom Venom's are an amazing cleat. I've had them for the past few days, and they are nearly excellent.They are super comfortable, fit true to size, has a great touch, and is very good for striking the ball. The only major problem I had was that the more I was using them, the rubber striking element started to peal off and I've only had them for less than a week. So I would definitely recommend the cleat, but just be cautious of the striking element. 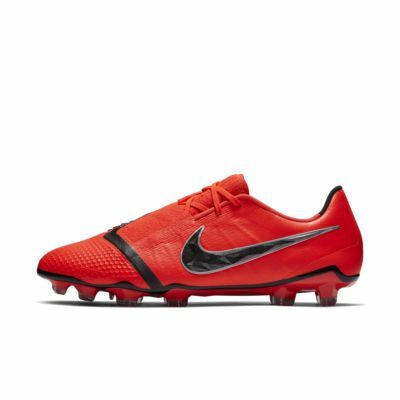 These are not going to make you the perfect striker. The boot is an ode to the total 90 laser boots, they bring back the power boot which has been gone for quite sometime. The boot is not like past power boots though,the shrills on the side are not actually rubber they are a lighter material that add a little extra grip to give you ball more spin. Along with the added feature of the side grip the boot features a similar ghost lacing system similar to that of the phantom but only half way, whether or not this really helps get a cleaner strike on the ball is not noticeable nor important but what is important is if your laces brake, good luck trying to change them out. The venom also features a new soleplate which gives you much more of a mercurial grip than the past hypervenom 3 and it still feels much grippier, it is made for the people such as the cam or the dm. The boot features multiple different textures along its face and does include "ACC" which no-one really knows what it is but if your boots have it you're automatically better (not true). 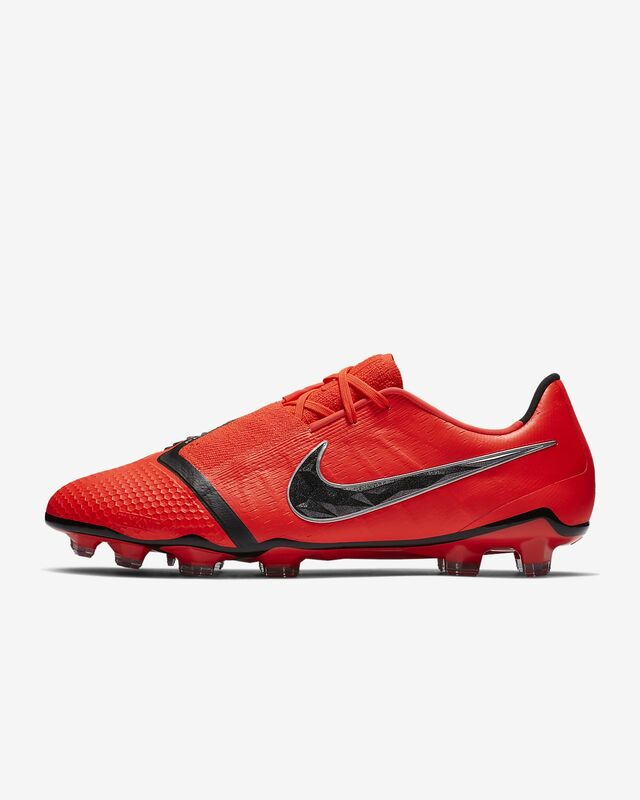 So the boots are nice but I'm not sure if they are a step up from the hypervenoms or not.